It's awful and irritating enough to see ads popped up while you're playing your favorite crime series on mobile. For both advertisers and users, accidental ad clicks are a serious menace to address. For users, accidental click are frustrating and for advertisers, they're real threat to conversion. 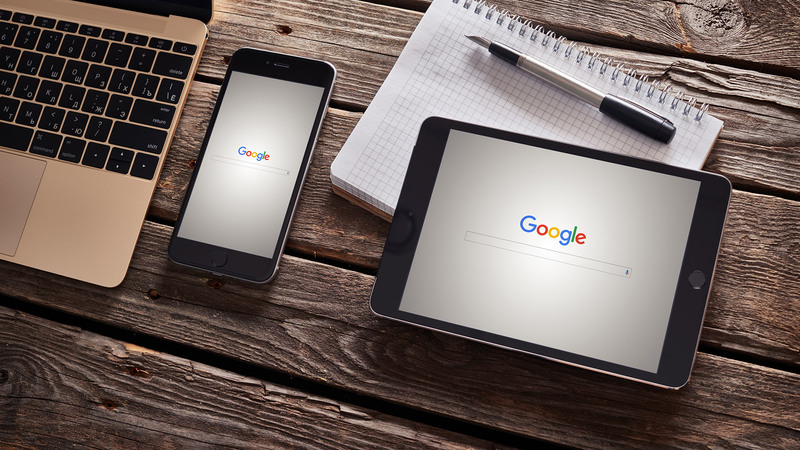 Though, smartphone and tablets have bigger screen sizes than ever, it's hard for users to prevent an accidental ad click when they really mean to swipe a screen or to tap on a link. A latest study made around mobile ad clicks across networks estimates that up to 50% of ad clicks are accidental. For advertisers' points of view, this inflates clickthrough rates and increase costs. On mobile image ads, image border is an area where most of the accidental clicks happen. While seeing through the images ads, users tend to click or scroll to adjacent content. The latest update will now push users to click on a more central part of the image to navigate to an advertiser’s website or app. 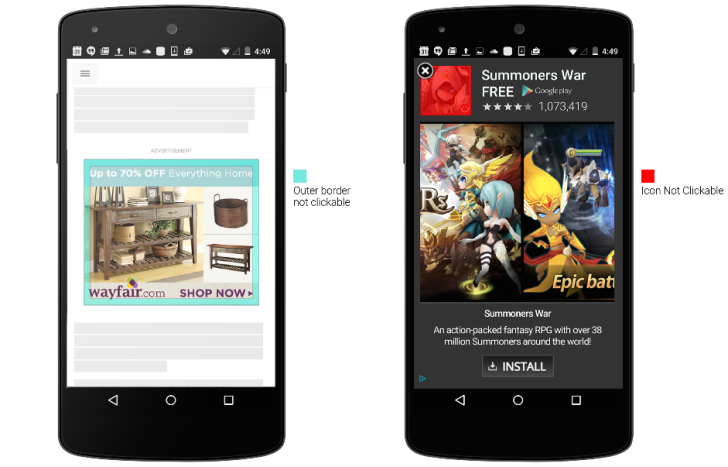 With this update, on in-app interstitial ads, users won't be able to click on the app icon of an install ad. Instead, they must click on the call-to-action button to visit an app store page and install that app. As the update is now on, users will only be able to click an ad if it's been on screen for a particular period. It will give users enough time examine the content of an ad and will help eliminate accidental clicks from them. These latest click quality enhancements improve the user experience by keeping them within their desired website or app and not involuntarily taking them to another page. They also benefit advertisers by reducing costs from accidental clicks and improving conversion rates. 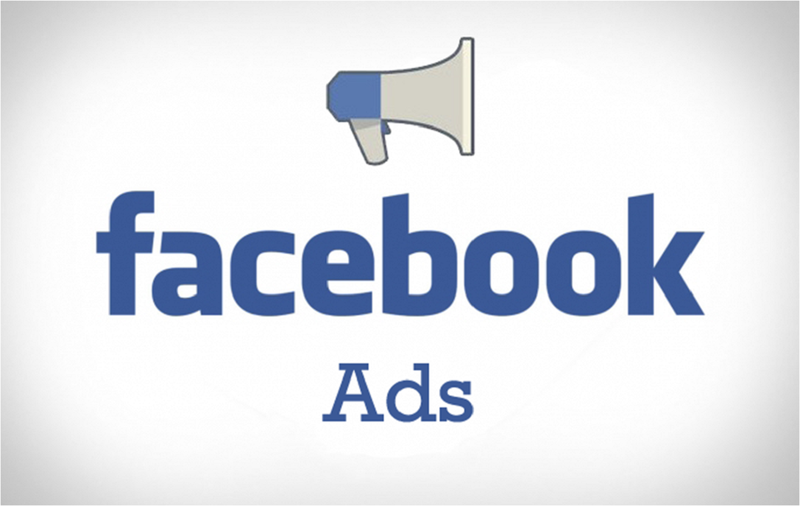 Till date, advertisers reported a 15% average conversion rate lift on display ads by driving more qualified clicks. These changes will help users to stay on the page they want and not clicking ads they didn’t mean and advertisers can see more accurate click-through rates. Thanks Google !